OR CHL Class March 23rd, 2019 | FIFTY1FIFTY TACTICAL, LLC. *Please include your (First, Middle, Last) name as it reads on your driver's license, in the notes area at check out. This will help us get your certificate printed out right the first time! Thank you in advance. 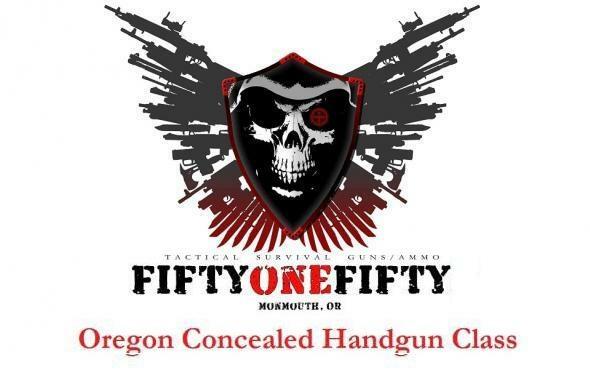 Sign up for our Oregon Concealed Handgun Class today! Our class is taught by a certified NRA instructor. Completion of class does not guarantee that you will receive your Concealed Handgun License. You must pass a background investigation and fill out the necessary application with your County Sheriffs Office. The Sheriffs Office gives approval of the application. Application fees may apply.